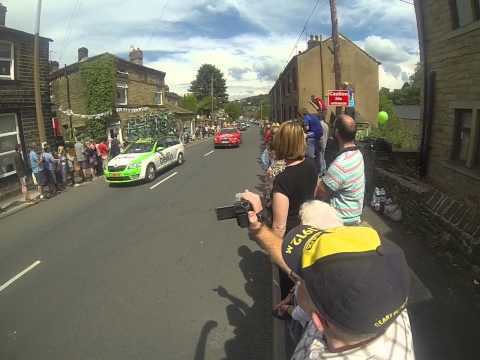 A media round-up of the scenes through Holmfirth on July 6th 2014 as crowds flocked to welcome ‘Le Tour de France’ to Yorkshire. Thousands of residents and visitors lined the route as the riders made their way through the centre of the Town. Quickly progressing along Woodhead Road and onto Holme Bridge where the Peloton began their gruelling (they made it look easy) ascent of Holme Moss. Here is our ‘Pick of the Best Hashtag Round-up’ from our social media accounts as the events unfolded. Thank you to everyone that Tweeted, Pinned, and/or @’ed us! Submit your photos or videos to us by email: hello@holmfirth.org – More on the way! Unless you’ve been living under a rock for the last 12 months, you’ve probably already heard the news that this years “Le Tour” cycling event will be starting in Yorkshire. 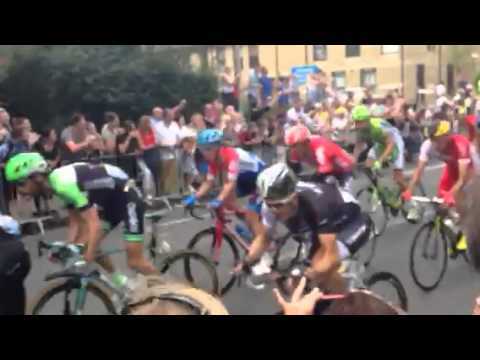 The iconic multi-stage event is primarily help in France (hence Tour De France), but on occasion does pass through nearby countries, with the UK and specifically Yorkshire being this years starting point. Exciting, right? The event is broken up into three main stages which will take place over the first weekend in July. As you can see it’s Stage 2 that will see the cyclists pass through Holmfirth with large crowds expected up at Holme Moss, and on the roads from Holmfirth to Holmbridge. 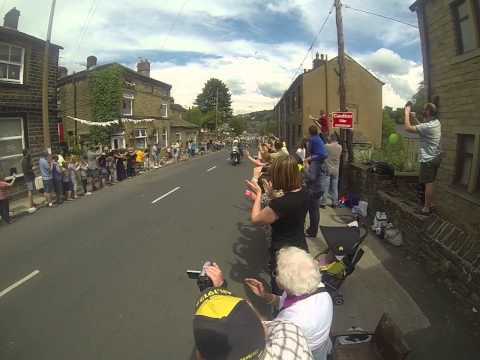 Which roads are closed in Holmfirth for the Tour de France? 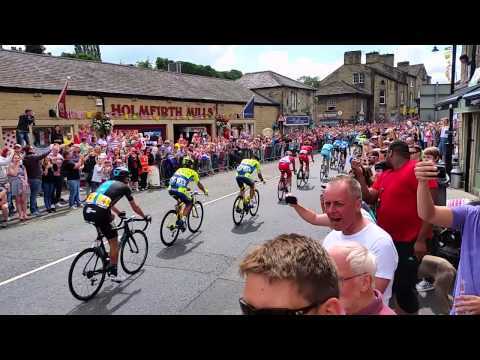 All towns that play host to Le Tour will a huge number of road closures and diversions in place – and Holmfirth is certainly no exception. Listed below are the confirmed road closures by Kirklees Council which will be in effect on July 6th in the Holme Valley (Click here to see the full list of road closures in Huddersfield). A lot of the closures are for roads which feature on the route directly, but the vast majority of the closures about to be for roads that link into the race route and as a result will be closed for several hours. To discuss these road closures with other Holmfirth residents, and stay upto date on the latest developments please see this forum discussion page. For residents in the area this will ofcourse mean road closures (Over 200 roads will close for 8 hours or more). 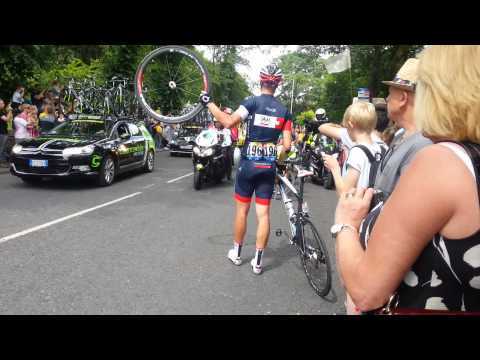 The very latest local news and updates on Le Tour. 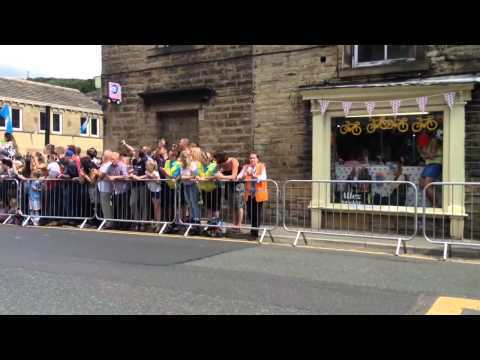 Dedicated Holmfirth discussion forums for Le Tour.